If you read our complete guide to adventure and gravel bikes, you'll know that this has been a really interesting development in the last few years, with more riders seeking adventures further afield away from the confines of the road network, and new gravel events are popping up across the UK and Europe all the time. Specialized was quick to see the opportunity, and a few years ago launched the Diverge. It was essentially a beefed up version of the Roubaix, with disc brakes and bigger tyre clearances. It was a pretty versatile bike, ideal for adventures but also commuting, as this build demonstrates. 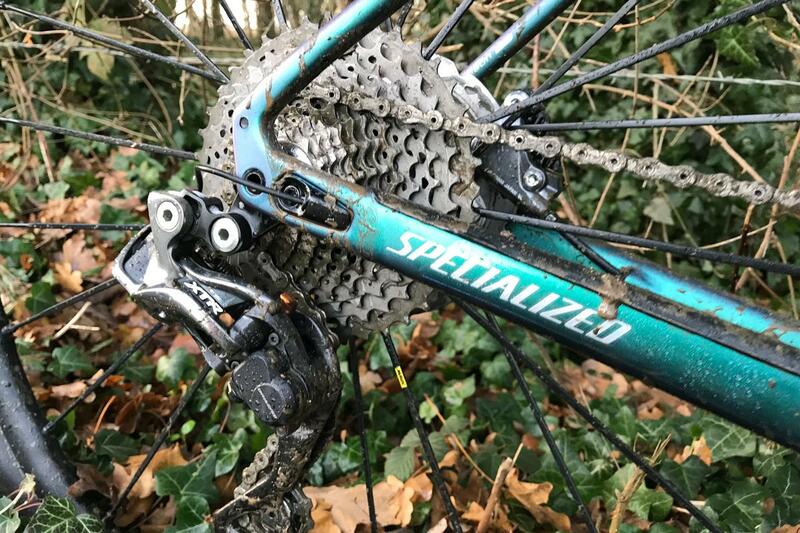 When it came to updating the Diverge this year, Specialized started with a clean sheet of paper and took the bike to another level, moving the goalposts considerably and prompting us to debate just what an adventure bike requirements are. The radical 3T Exploro went off in pursuit of speed with an aerodynamic frame, while Specialized has sought to provide as much comfort and control for taming rough trails as possible. Key to the new bike is the Future Shock. It's the same setup as first introduced on the Roubaix, and consists of a spring housed inside a sealed cartridge and located at the top of the steerer tube. It's intended to isolate the handlebars and the rider from shocks and impacts that would normally pass up through the front wheel, fork and into the frame and rider, but get around the stack height raising issues that become of fitting a suspension fork. With my sceptical head on I'll admit to thinking the FutureShock sounded like an overcomplicated gimmick when it was first announced… and lots of the internet seemed to agree. But after quite a lot of time riding both the Roubaix and more recently the new Diverge, I have to confess to actually warming to it. On the Diverge it makes a lot of sense, especially if you're going to take the Diverge into the wilderness and ride off-road a lot of the time, as the bike is designed for. While the 20mm of suspension travel isn't a lot, it's enough in a lot of cases to smooth out rough off-road trails littered with bumps, roots and rocks. The spring is firmer than that found in the Roubaix so it handles bigger impacts well. You certainly don't notice the handlebars moving around alarmingly, it's all very subtle. Even climbing out of the saddle doesn't involve the handlebar bobbing up and down. 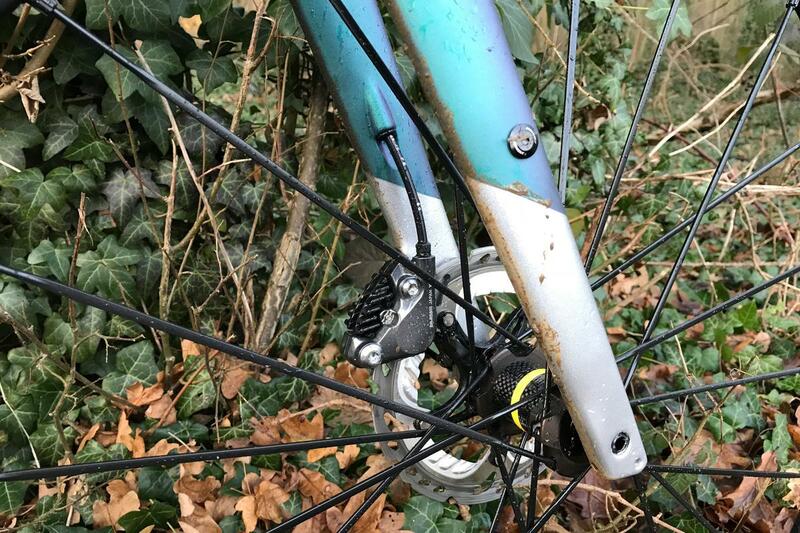 There's no damping like a proper suspension fork, but fortunately, the small amount of travel ensures that it gets away with it. There's no easy way of adjusting the FutureShock, other than taking it apart and fitting a different spring. It'd be nice to be able to tune it to suit different rider weights more easily than it currently allows. 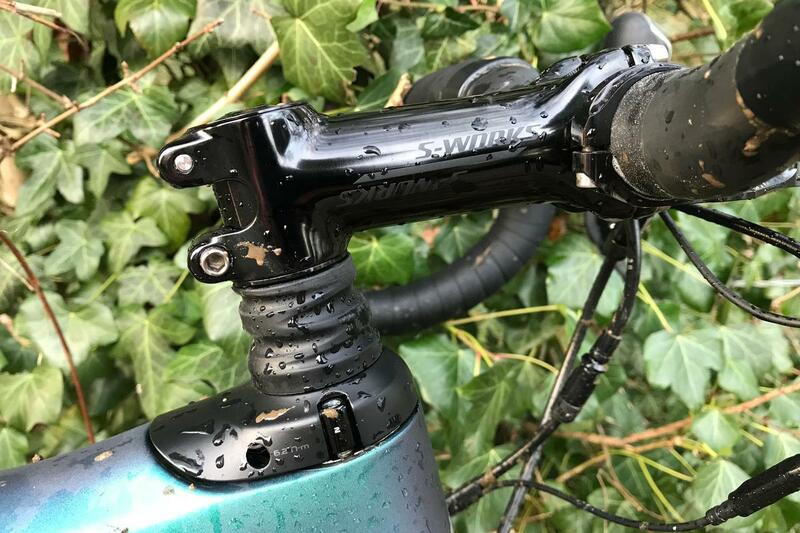 This S-Works model also has a seatpost with 35mm of height adjustment, operated by a lever cleverly attached to the inside of the handlebar drops. It's an either up or down situation, you can't use it to adjust the height - it's designed to provide an easy way to lower the saddle for any situations, say a very steep descent, that provides improved control and makes it easy to chuck the bike around. 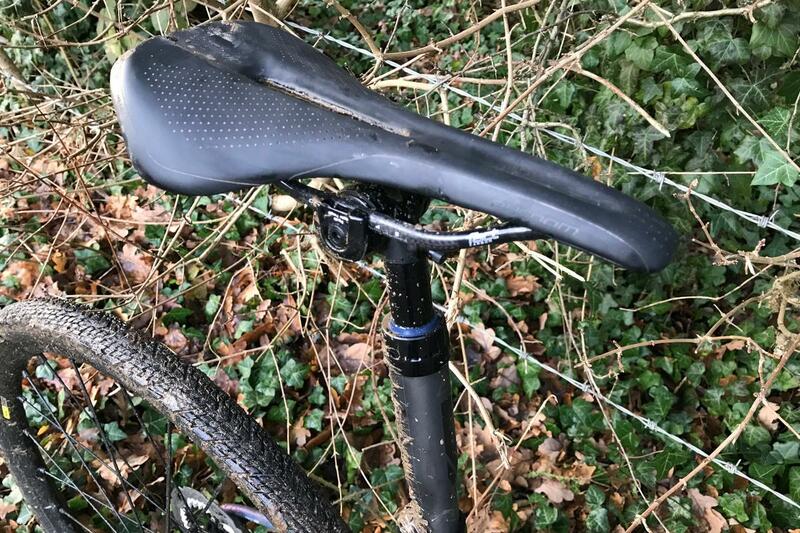 It's only really worth having, in my opinion, if you're regularly riding very steep and technically demanding descents, but personally, I'd rather have the CG-R carbon seatpost from the Roubaix to provide a bit more seated comfort. With the dropper post, the Diverge lacks rear-end comfort. 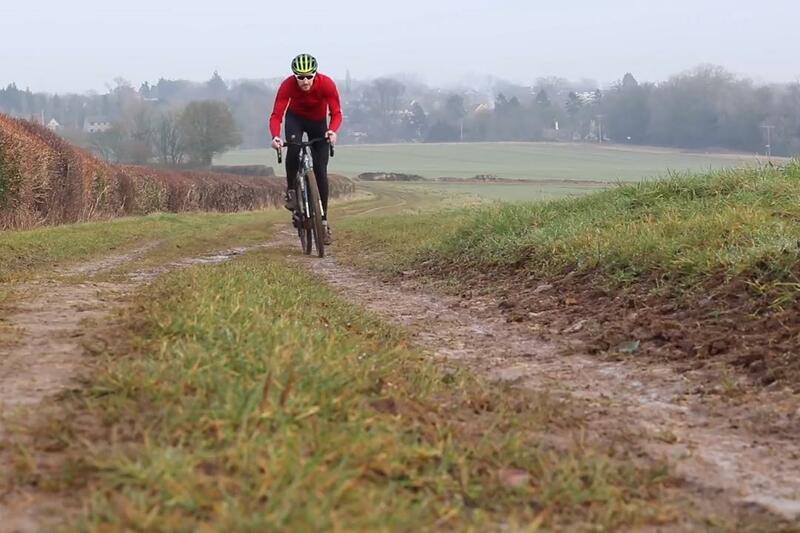 Thankfully, wide tyres provide plenty of cushioning when riding rough tracks. The new Diverge has massive clearance, easily swallowing the 38mm Specialized Trigger Pro tyres this bike came fitted with. I've currently swapped to some Mavic Allroad wheels with 40mm tyres and there's still plenty of clearance, and even the 650bx47mm WTB Horizon tyres presented no clearance issues. 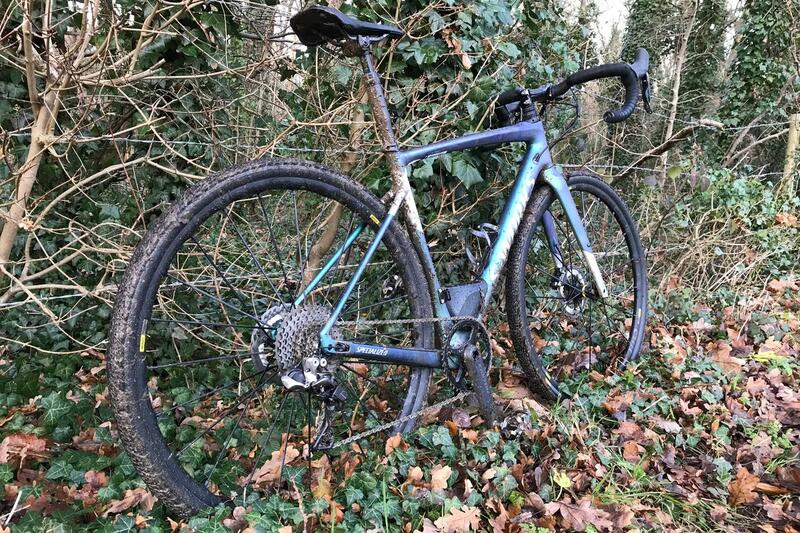 The Diverge feels best with a 38-40mm tyre on a 700c wheelset in my opinion, and the Trigger tyre provides decent rolling speed on smoother tracks and road surfaces, whilst ensuring there's adequate traction on slippery trails. They're not great mud tyres, but unless you're trying to ride through a deep bog it's surprising just how capable they are. Geometry has also taken a turn towards providing better stability and control on rough terrain. 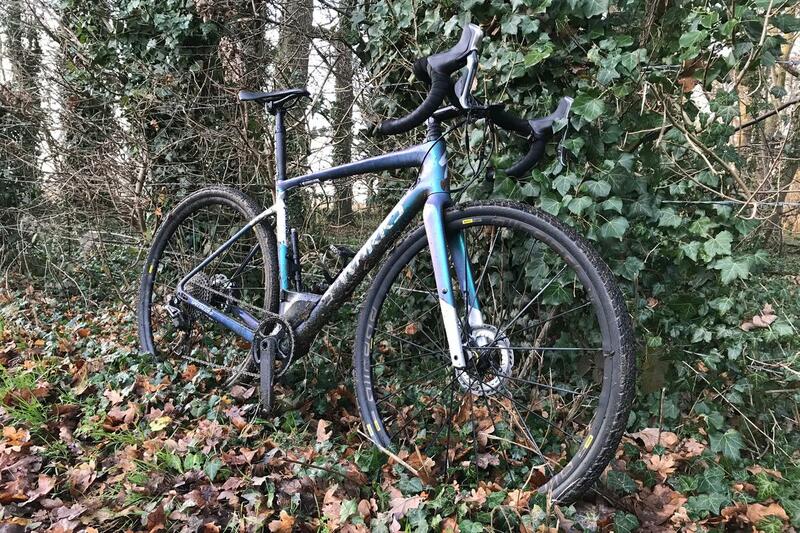 Inspired more by mountain bikes than the cyclocross bikes that some adventure bikes are very closely related, the Diverge has a much lower bottom bracket, lowering your centre of gravity, along with a slacker head angle and shorter wheelbase and chainstays. It works. Whether you're riding on the road, trying to keep up with a fast-paced club run (yes I did try and, and yes I did hang on, just) or exploring woodland trails, the Diverge is easy to manoeuvre, with light steering and a wonderful predictably that makes it really fun and easy to ride. 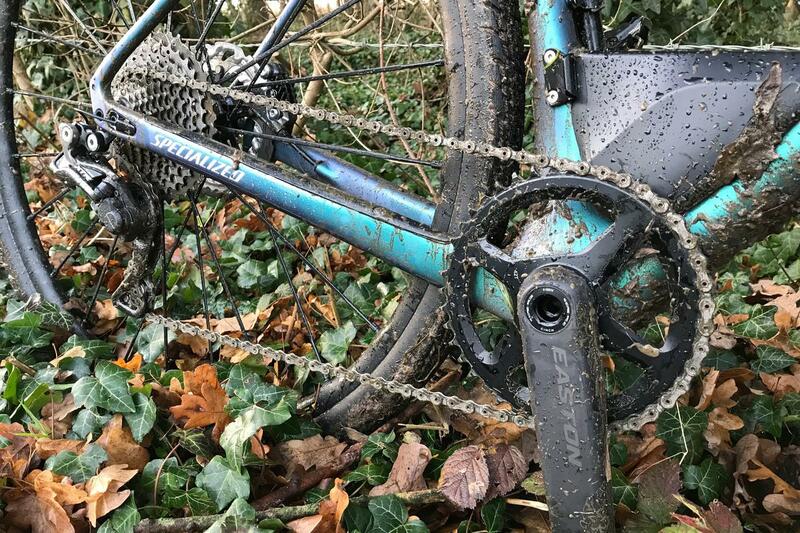 The grippy tyres, the FutureShock, light and stiff frame and the powerful Shimano hydraulic brakes, provide impressive ability when riding off-road trails. I've ridden the Diverge down tracks that I would previously only have taken a mountain bike. Yet it's no slouch on the road. Obviously, it's not as quick as a normal road bike with the 38mm tyres, but inflate them to 40/45psi and you can certainly zip along at a reasonable pace. You just can't hit the same high speeds as you can on an endurance bike. But it's not designed for that sort of high-speed road cruising. Mixing it up and getting off-road, and traversing between road and trail is where the Diverge comes alive. The versatility that made the original Diverge so appealing remains with this new bike. 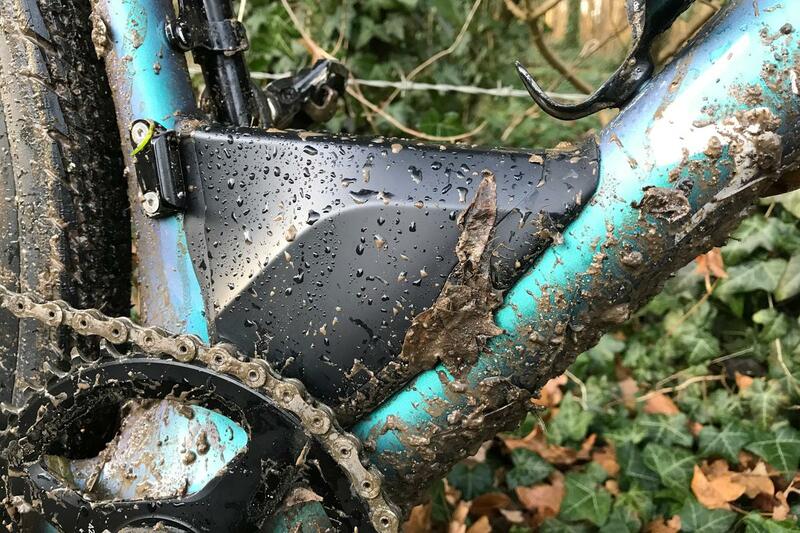 You can still fit a set of mudguards and it'll take just about any tyre you want, there's nothing to stop you fitting a fat slick for more road-focused riding. In fact, with two sets of wheels and tyres, you could conceivably have two bikes to cover a wide gamut of riding scenarios. So first impressions are very favourable then. I'll be back with a full review on the Diverge soon. The model tested costs £8,500 and comes fully specced out with Di2, hydraulic disc brakes, carbon Roval wheels and top-level finishing kit. The frameset costs £3,500 if you have your own build in mind, and the Diverge range actually starts from just £799, so plenty of options.